Everyone’s favorite dog-loving assassin John Wick’s on the run, and it seems like everyone in the known universe has him in their sights. He’s still got a dog to avenge, you know. In the newest trailer for John Wick: Chapter 3 — Parabellum, Keanu Reeves takes on the role of Wick once more in a trailer that’s somehow even cooler than the last one. You may remember that the end of John Wick: Chapter 2 found Wick effectively excommunicated from the Continental, the global chain of hotels that act as neutral ground for members of the criminal underworld. As part of his exit from the world of assassins and seedy activity, a global contract was put out on his head — that, and killing the Italian mafia boss Santino D’Antonio as he took sanctuary at one of the Continental locations. That was a huge no-no. So now the entire world is out to get him — at least, that’s what it feels like. As a result, Wick is continually on the run as he tries to best everyone who tries their hardest to eradicate him. If John Wick’s unique brand of visceral, violent action is your style, you’ll find it in droves in this lengthy clip, especially as it comes to a climax with a totally badass motorcycle scene. It’s a buffet of brightly-colored, polished choreography and perfectly-timed one-liners. And we can’t wait to see it. As one of the large series of new John Wick movie posters ominously reads, "Tick Tock." Time is running out. 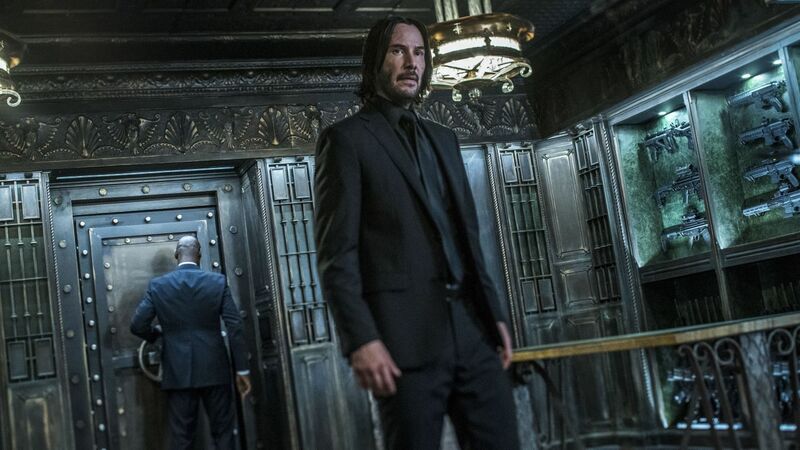 Is there any way he can possibly make it out of the world’s largest battle royale unscathed, or will this movie mark the end for Wick once and for all? "All this for what – because of a puppy?" asks the mysterious new Director character, played by A njelica Huston at the end of the clip. "It wasn’t just a puppy," Wick fires back. No, it wasn’t. We felt that, John. We’ll have to wait and see what transpires when John Wick: Chapter 3 - Parabellum debuts in theaters on May 17.